Blown Away by Hope and Pain. There are two parts to this blog, as technically this computer has been confiscated by my husband so that I can listen to the audio book he has downloaded for me, and so I can fully rest my back. Firstly, Wow. The power of Mumsnet is two fold! Not only has ‘Doogie Hower’ in disguise found the cause of my back problems but, how many people have come to check out my post! and have left me some amazing supportive messages. And yes, the more I think about it, the more I can feel the place where that oddly large and painful but quick to disappear from my memory bruise was. It was right in-between my vertebrae at the base of my spine. Now I remember, and have discussed with R, neither of us have any idea how it escaped our memories. It just demonstrates how easy it is to block very important details from our minds. There is no doubt in my mind now that the unfortunate event of the shower curtain caused my slipped disc. But, I know many people are thinking, as R did, ‘so what?’ and as someone commented on my last post ‘you can’t un-salt the soup’. That is true. This revelation does not fix my back. It won’t change the treatment offered. The damage is done and it is going to take a long time to fix, whatever the cause. Perhaps had I linked it at the time it might be a different story, but probably not. What this does change is how I deal with it, emotionally, in the long-term. It gives me hope. I was told by several medical professionals that this is likely degenerative. It has happened over a period of time and the disc is disintegrating. This has put a little pressure on the discs above. And, as it is degenerative, it is likely this will progress upwards in time. This has been the source of great angst for me, as many of those who have journeyed with me over this last almost-year know. Coming to terms with the loss of so many things in my future. Having to find a way to parent so this debilitating condition does not hugely and negatively impact on my children’s upbringing. I have had so many tears of worry that this might end up crippling me. I have seen my career disappear in front of me and seen my relationship change and become damaged in front of my eyes. This means, that maybe there is a chance that won’t happen. This means that if I can get this disc fixed, that it might not spread upwards, that it is not degenerative, that it is not inevitable that my life will be a continued cycle of pain and medication. Hope. Alas this leads to the second part of my post. At the time I should be revelling in this fabulous news (and believe me I have been blown away by it) and seeing this as a new episode in my life, where I can go to work with little pain feeling this is actually progress that might stay, instead of walking with a swing in my step, I am in bed in pain as my back has gone again and I can’t stand or walk. I have been throwing up since sunday, (for those who have an aversion to vomiting stories, read on, there will be no details) and now I am unable to walk for pain and muscle spasms. I have a theory about this, about the links between my pain and being sick, but that is for another time. For now, having had to crawl to the toilet on my hands and knees I am in so much pain I am going to return to the excellent audio book The Name of the Wind by Patrick Rothfuss for those who want something cool to listen to. But, this is not going to beat me now. Not anymore. I am not going to just accept my fate is out of my control, this is not my destiny to have a back problem, it is not genetic, or degenerative. So I can overcome it. After some sleep. (ps Thank you everyone for reading my blogs and for ‘liking’ and for the lovely comments. It means a lot. Even with a little nudge from those at the top. I bought some frozen casserole mix, unaware that it contained, mostly, the most useless and vile tasting vegetable ever. 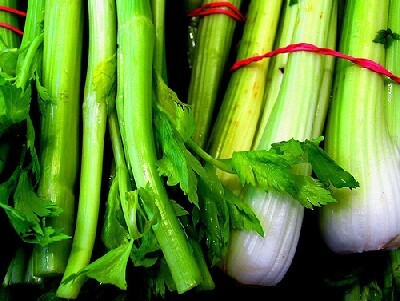 Celery. Which is very unpleasant to eat, but which I could not bear to throw out ‘in case I ever found a use for it. And then, after a particularly cruel flare-up I Found a use. The frozen casserole mix became the perfect treatment for the inevitable ‘flare-up’ after stupidly pushing my daughter downhill on her bike or such foolish antics, the cheap equivalent of an ice pack, the new ‘bag of peas’. And then disaster struck. After being used so many times and partially defrosting and freezing it again, it turned into one solid lump of mostly celery and is rather uncomfortable to lay on, thus rendering it entirely useless and consigned to the bin. I found this out today, after doing said foolishness, followed by hobbling around a supermarket a 4pm with hungry children and husband, then collapsing onto the sofa with the Mostly Made of Celery Casserole Mix, only to find I was akin to the Princess and the Pea. This Will Not Do. Unfortunately there is no other food in the freezer which we can sacrifice – we are using the baby corn tonight for the kids tea, and I am certain that Quorn sausages won’t be particularly comfortable to lay on either. Now I am laying on the cold space where the casserole mix once was, in pain and watching Abney and Teal thinking how useless celery really is. Contemplating not for the first time this week whether I should self medicate with a glass of Pinot Noir.